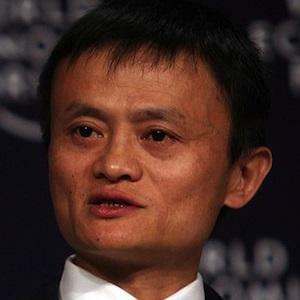 Founder of Alibaba, a Chinese e-commerce company that became an extremely popular way for people in China to shop online. When his company had its IPO in September of 2014, Alibaba was worth over $200 billion. In 1988, he earned a bachelor's degree in English from Hangzhou Teacher's Institute, which later became Hangzhou Normal University. He created China Yellowpages in 1995 and many consider the venture to be China's first internet-based company. He married Zhang Ying and the couple has a son and a daughter. He and Amazon founder Jeff Bezos both became billionaires, and two of the richest people in the world, through their successful e-commerce companies.